Although fear fills our world, it doesn’t have to fill our hearts. No one likes living in a world filled with fear and uncertainty. But in such times, God does some of His most important work. Our part is to trust that He will be true to His promises. 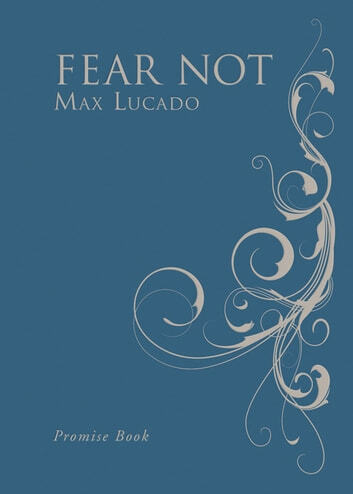 Brimming with comfort, encouragement, and truth, Max Lucado’s Fear Not Promise Book addresses six major topics related to fear, from “God Is with You” to “God Is Never Surprised.” This new luxurious leathersoft package includes 200 additional verses to help readers overcome chains of anxiety caused by fear, and live boldly and joyfully the way God intended. 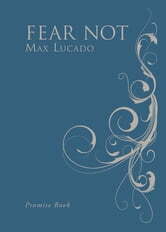 While fear corrodes confidence, faith in God’s love and presence always restores hope.